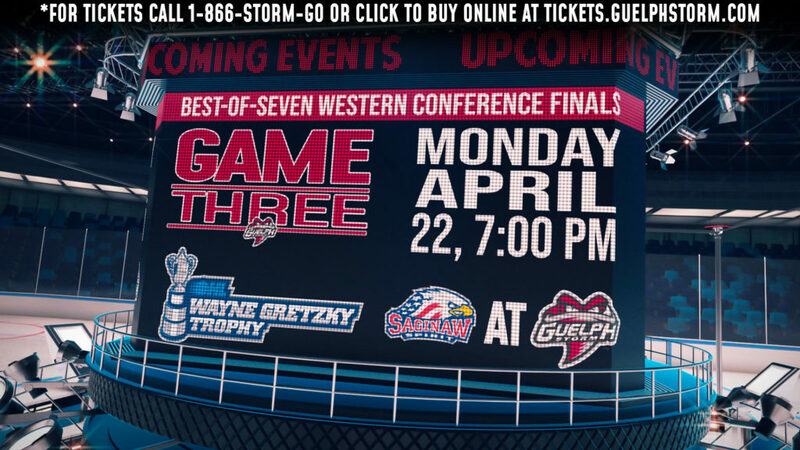 The Western Conference Quarter finals begin on Friday March 22nd, as the Guelph Storm take on the Kitchener Rangers at the Sleeman Centre. Join us for Fan Fest beginning at 4pm downtown Guelph prior to Game 1 starting at 7:30pm. 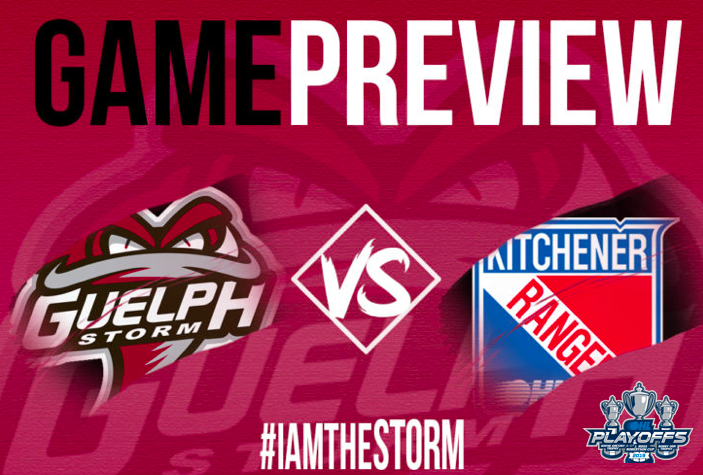 The Guelph Storm and the Kitchener Rangers will face-off against one another for the second consecutive post season, with the Kitchener Rangers winning in the first round last season in 6 games. During the regular season Kitchener had a head to head record of 4-4-0-0, while the Guelph Storm had a record of 4-3-1-0 in 8 games played. 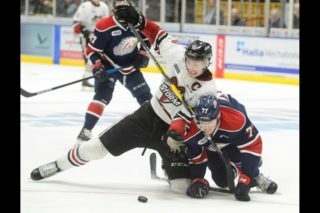 The Guelph Storm finished the regular season with a record of 40-18-6-4 giving them 90 points and finishing 4th in the Western Conference. The Kitchener Rangers finished their regular season with a record of 34-30-3-1 giving them 72 points and finishing in 5th place in the Western Conference. MacKenzie Entwistle was red hot in the final two games of the regular season, as he collected 5 goals and 3 assists. Entwistle finished the regular season with 30 goals and 27 assists for 57 points in 57 games played. 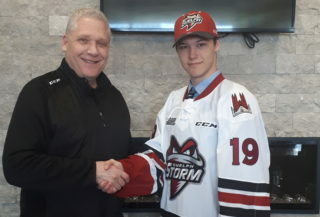 MacKenzie brings in 28 playoff games of experience for the Storm and has collected 19 points and an OHL championship in that time. Greg Merieles had a fantastic season for the Kitchener Rangers finishing with a career high in goals with 36, assists with 61 and points with 97 in 68 games played. Greg finished the regular season with points in 20 consecutive games and totalled 14 goals and 24 assists for 38 points in that time and won OHL player of the month. 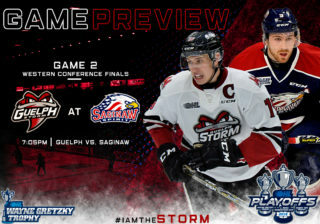 Game 2 of the Western Conference Quarterfinals is on Sunday March 24th at 2pm, before the Storm head to Kitchener for game 3 on Tuesday March 26th at 7pm and game 4 on Thursday March 28th at 7pm at the Aud in Kitchener. Planning a summer getaway that covers it all? Start by visiting Owen Sound Tourism. Our gritty, energized, locality is a perfect place to explore! A picturesque harbour and bay, winding rivers, plush parks, and numerous trails; with a culinary experience unlike any other, can be found in our thriving historic downtown. Perfectly placed along the Niagara Escarpment, just up Hwy 6, we are the ideal location to base yourself during your next Grey-Bruce adventure! You will want to return often to experience it all, get started planning your next stay, visit owensoundtourism.ca!